Whether you should include hot chile peppers as part of an anti-inflammatory eating plan is a surprisingly controversial topic. These complex little superfoods have a lot to offer, but they are not an ideal choice for everyone. Sjogren’s sufferers with severe dry mouth (caused by the immune system attacking the salivary glands) might find eating hot pepper to be extremely uncomfortable, or that it even exacerbates the sensation of dry mouth. Dry mouth is not one of my more pronounced symptoms, and I enjoy the burn of spicy food, so this has not been an issue for me so far. Chile peppers belong to the nightshade family, which also includes eggplant, potatoes, and tomatoes. Some individuals are sensitive to nightshades, so for them, consuming hot peppers will do more harm than good. However, if you can tolerate hot peppers, then they can boost your health with beta-carotene and other antioxidants, as well as the inflammation-inhibiting compound capsaicin. Scotch bonnet and habanero peppers rank among the hottest peppers in the world, which means they contain the most capsaicin. This peppersauce offers even more anti-inflammatory benefits than hot peppers alone, because it also contains garlic and several anti-inflammatory spices, including heavy-hitter turmeric. This peppersauce contains curry powder, but it is worth noting that Trinidad curry powder’s flavor profile differs from the ubiquitous Madras curry powder. According to the cookbook Sweet Hands: Island Cooking from Trinidad and Tobago, Trini curry powder contains a blend of spices heavy on the coriander and turmeric, and without ground hot pepper, which Trinis prefer to add fresh or as a saucy condiment. If you can’t find it in stores, try this mixture: 1 tsp cardamom seeds, 1 cup coriander seeds, 1/4 cup cumin seeds, 1 Tbsp mustard seeds, 1 Tbsp fenugreek seeds, 1/4 cup black peppercorns, 6 whole cloves, 1/3 cup ground turmeric. Toast the whole spices for a few minutes in a dry pan over medium heat, until fragrant, and then grind in a spice grinder or mortar and pestle. Combine well with the turmeric and store in an airtight container. 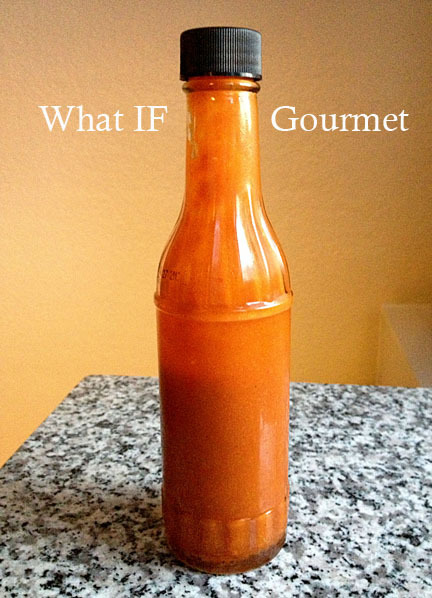 *If you use lime juice, this hot sauce will keep in the refrigerator for about a week. If you use vinegar, it will keep in the refrigerator for a month or more. **You can substitute a 4 oz. jar of pimentos, drained, in a pinch, but this peppersauce tastes so much better if you roast a red bell pepper yourself! 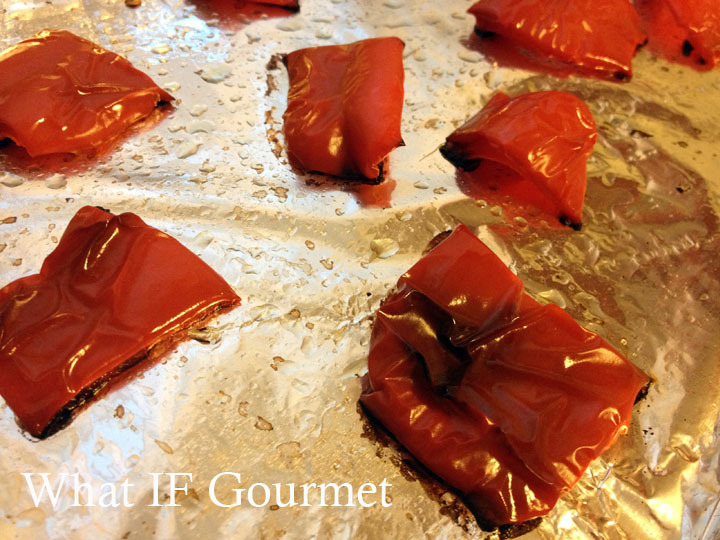 To roast the red bell pepper: Remove the stem and seeds, and cut the pepper into quarters. Halve each quarter. Spread out on an oiled, foil-lined baking sheet and roast at 400 degrees for about 20 minutes, or until pepper is soft and edges are starting to char slightly. To make the peppersauce: Combine the roasted red bell pepper with all the other ingredients in a blender or food processor. Blend until desired consistency (I like my hot sauce smooth and uniform, but others may prefer the hot pepper seeds to remain intact). Store in a glass jar or bottle in the refrigerator for up to a month. Shake well before each use. 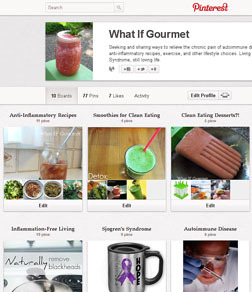 This entry was posted in Anti-Inflammatory Ingredients, chile pepper, Dairy-free, Gluten-free, monounsaturated oils, Nut-free, Recipes, spices, Vegan, Vegetarian and tagged condiments, habanero peppers, scotch bonnet peppers. Bookmark the permalink. Ooh, this sounds awesome. 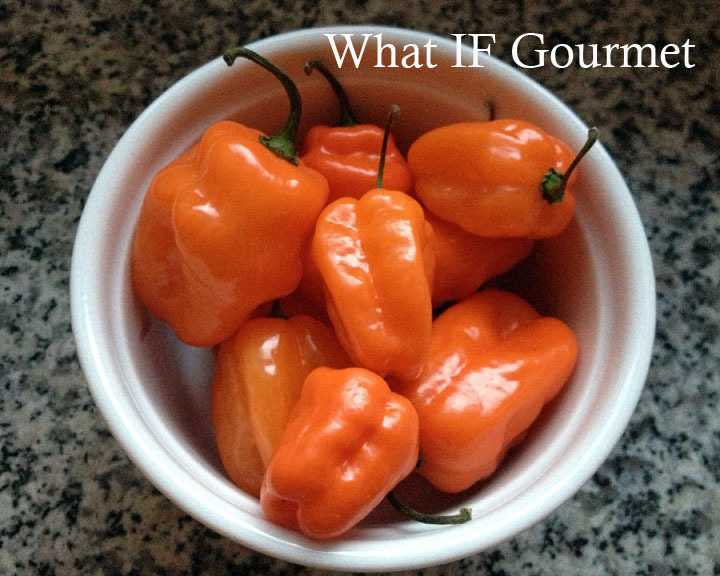 I LOVE scotch bonnet/habenero peppers too. Thanks, Amanda. If you try it, I hope you’ll enjoy it! We always try to keep a bottle of it on hand in the refrigerator.